Virtus.pro announces that Paweł "byali" Bieliński parts ways with the team. FACEIT Major London 2018 will be byali's final tournament under VP tag. Paweł joined Virtus.pro at the beginning of 2014, and he immediately proved himself by becoming the champion of EMS Katowice in March. 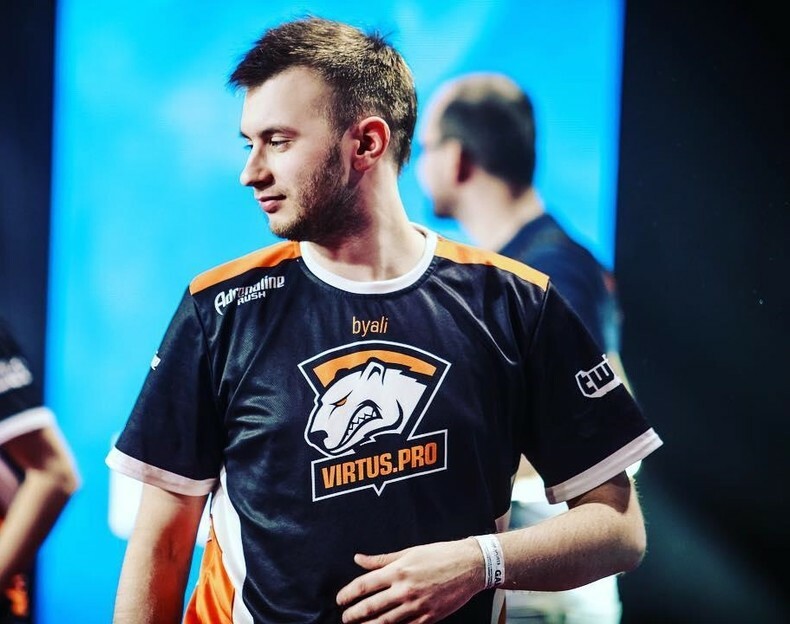 Overall, byali has claimed 9 titles and more than $500 000 in winnings in Virtus.pro, and made it as far as into hltv.org top-20 ranking in 2014. Roman Dvoryankin, Virtus.pro general manager: "byali departure was an agreed upon mutual decision by both sides. Our entire team is grateful to Paweł, and we wish him only success in the future. It has been a great journey together. We will be ready to announce our new player after the London Major". Paweł "byali" Bieliński: "All these years together with Virtus.pro were simply incredible! I'm deeply thankful for everything the team has done for me. Only because of them I became who I am now. I also would like to declare my deepest gratitude to all the fans who kept cheering for us in our brightest, and our darkest hours. I'm leaving Virtus.pro, but I wish the guys all the best". FACEIT Major – London 2018 series will take place 18-23 of September. The tournament's prize pool is $1 000 000.